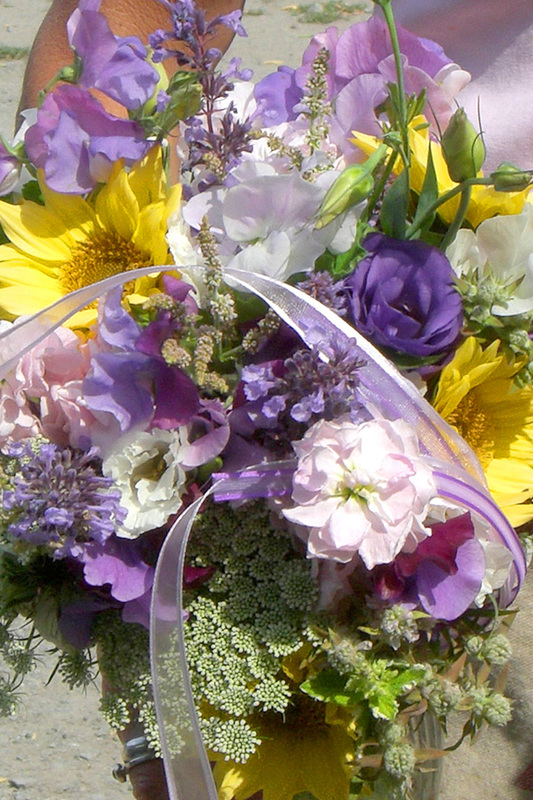 We offer a wide variety of flowers and herbs to choose from when planning for your special day. 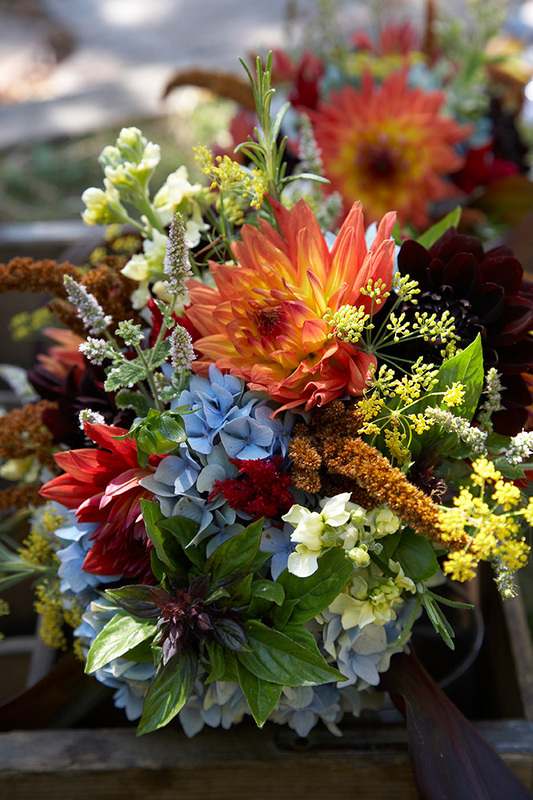 We grow many unique greens, flowers and herbs, including old fashioned favorites and new varieties.Our specialties are local, fragrant and herbal arrangements.We encourage you to visit our field and choose your unique flowers to be included in your arrangements. We also carry an extensive line of herbal products which make great gifts for your guests. The prices below are just average prices to help you plan your flower budget. Prices vary depending on choice of flowers and herbs, style, quantity and seasonal availability. A $100.00 deposit is required to reserve your date. Any changes in color or type of flower that we don't have in stock made within one week of your wedding date will add an extra $100.00 to the total price. Delivery rates are based on distance travelled. Free delivery is possible in La Conner or other convenient location. Set-up rates are by the hour ($20/hr). Vases and baskets may be purchased, borrowed from Dona Flora, or you may choose to use your own. Borrowed items will require a refundable deposit.